A Tax System for NZ’s Future is the newly released report of the Victoria University Tax Working Group (TWG). The report outlines why the current system needs to change concluding that “the status quo is not a viable option”. It then explains the problems with the current system and different options to overcome them. The main recommendations include aligning company, top personal and trust tax rates – by this they mean lowering all of them and making the rates the same. Because tax reforms need to be ‘fiscally neutral’ the lost income from lowering these taxes needs to be generated through other forms of new taxation –referred to as ‘base broadening’. The TWG is not recommending introducing a capital gains tax, but does support taxing the returns from capital invested in the property market. Most members of the group also support introducing a small land tax. Members also saw merit in raising GST to 15% however the amount of money that could efficiently be generated from this would be significantly reduced if compensation was provided to people on low incomes. They also recommend a ‘comprehensive review of welfare policy and how it interacts with the tax system, with an objective being to reduce high effective marginal tax rates’. What I imagine this means is that changes are needed to avoid poverty traps created by abatement policies for beneficiaries and the loss of WFF assistance when household incomes rise over thresholds. It’s unclear what could be done to address these problems. A more detailed summary of the report’s recommendation will be covered in the next issue of Kete Kupu due out in mid February. See early comments from Bernard Hickey released shortly after the report was made public. Whilst the report has generated much media interest it is what the government does with the recommendations that really count. This we won’t know until after Budget 2010. On 19 January the Minister of Corrections Judith Collin announced in a press release that the Sentencing and Parole Reform Bill, which was introduced by ACT’s Rodney Hide early in 2009, has been changed. Commonly referred to as the three strikes bill, NZCCSS submitted in opposition, and was awaiting the Select Committee Report back to Govt due at the end of March. We are likely to be asked to make a submission on the revised Bill. The revised Bill has been described as a ‘watered down’ version of the previous Bill and the main changes include the thresholds for qualifying offences (strikes) moving from sentences of five years or more to seven years and third strike offenders getting a maximum sentence rather than a life sentence with a minimum period of 25 years in imprisonment. We have yet to see the new amendments and will prepare another submission if invited. Some detail has been provided in an article from the Dominion Post. A copy of the NZCCSS submission on the original bill outlines the reasons why we oppose the reforms and these are unlikely to change significantly even with a more moderate bill. Late last year NZCCSS made a submission on the Injury Prevention, Rehabilitation, and Compensation Amendment Bill. We were concerned that that the cost containment measures outlined in the Bill would lead to hardship and directly undermine the Woodhouse principles on which the scheme is based. 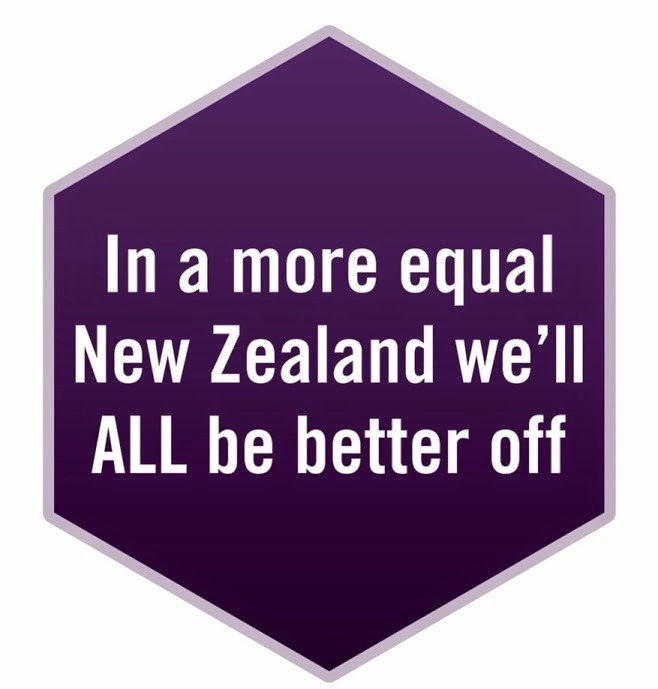 While many people won’t know what the principles are, most NZders expect ACC to deliver a comprehensive no fault scheme that offers comprehensive treatment and real levels of compensation. These expectations pretty much sum up the Woodhouse principles. The Bill is part of a broader move to trim back expenses in ACC. Some of the changes don’t require legislative change and a recent article about the pressure being put on long term ACC clients is a good illustration of this. In an effort to slash $1b from the ACC budget by 2013 it is reported that more than 700 people have been cut from ACC’s long term client list in the last six months. The Transport and Industrial Relations Select Committee is due to report back to govt on the Bill on 12 February. The Govt is hoping to enact the legislation by 28 February. Its speedy pathway through the legislative process reflects its high Govt priority. “Reform is now a necessity” it is argued in a McKinsey Quarterly article on public sector reform. “As governments assume a broader, more significant role in response to the crisis, it becomes ever more important that they should be efficient and effective – otherwise, they would compound the severity of the problems”. It appears the NZ government is keen to learn from the experiences of other governments as they grapple with the challenges (or opportunities) thrown up by the global economic crisis. Getting More for Less efficiency in the public sector, a 2009 UK publication by Jamie Bartlett gives us a bit of insight into what the much used VfM term could mean if properly implemented and some of the pitfalls of doing it wrong. The report cautions against ‘salami slicing’ which is across the board percentage cuts to departmental budgets- “these strategies might secure initial savings, but will make things more expensive in the long term”. Oops – too late. It’s an interesting read, particularly the sections on personalised budgets (allocating a client a set amount of funding after an assessment and allowing them to choose the services they need) and the long term savings from investing in preventive services that address problems at the core. For example, research showed that it cost three times as much to care for chronically homeless people (repeat emergency hospital admissions and the like) than to provide them with apartments. I have also come across a another publication called More for Less Cutting Public Spending, Protecting Public Services which describes what needs to be done to reduce spending across various govt agencies. Although it’s a British publication some of the ideas are likely to be picked up here and are reflected in the existing rhetoric about ‘reducing bureaucracies’, improving systems efficiencies and the like. As is argued in the McKinsey Quarterly article, we need “whole-government transformation. The current crisis provides both the necessity and the chance to improve the machinery of the state fundamentally”. Recession hits not for profits is the headline for an article on a biennial survey by business advisory Grant Thornton. To reduce costs charities are looking a different ways of working including merging with similar organisations. The minimum wage is $12.50 and in the next couple of weeks Cabinet will be deciding whether to increase it and if so by how much. According to a Herald Summer Survey there is strong support for increasing it. NZCCSS supports moves to increase the minimum wage as many families are struggling to meet basic living expenses. The Dominion Post has reported discord between Maori Party co-leader Tariana Turia and Minister for Social Development and Employment Paula Bennett regarding National’s proposal to make all beneficiaries reapply for their benefit after 12 months. The Maori Party is keen to help beneficiaries regain their confidence through the re-introduction of work-for-the-dole type scheme but National has rejected this idea. A major focus of this course will be on practical ways of assessing housing quality. It will introduce the Healthy Housing Index and other tools that are now being widely used for this work. The ASB is launching a housing fund with the purpose to support community organisations delivering innovative pilot projects aiming to prevent or solve homelessness, or the need for emergency housing. Projects must benefit youth, women, Māori and/or Pasifika in the Northland & Auckland regions. Applications close 1 April 2010. Community Housing Aotearoa is hosting a National Maori Housing conference to “weave together a vision and strategy that will lead Maori community housing in the future”. Key strands include papakainga, Trade Training, Design, Finance, Maori Land and Kaitiakitanga. For further information contacts Community Housing Aotearoa. On the Families Commission’s online panel website, The Couch, the Commission is seeking a broad range of views from fathers asking about the types of support that Kiwi fathers need. To participate in this poll visit http://www.thecouch.org.nz/poll/takepoll/87. This poll will contribute to ongoing research related to fathering. A short and up-to-date guide on all the government resources available to caregivers is available in a new flyer called A Guide for Carers. It covers financial help, help at home, and information about needs assessment, where to go for equipment and modifications and information about carers’ rights. For free copies call 0800 777 797 or visit the Carers NZ website.